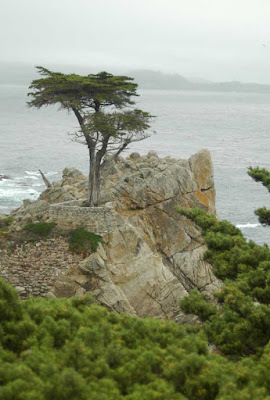 After whale-watching yesterday we drove 17-mile Drive, a well-known route that takes you along a beautiful section of the California coastline, near many huge mansions, and around the famous Pebble Beach golf courses. It was very cold and windy, but I still got out of the car at many of the viewpoints, including Bird Rock, pictured below. 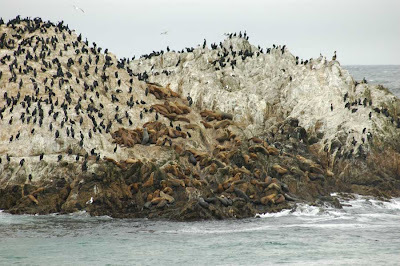 In addition to being covered in cormorants and a few brown pelicans, there were many California sea lions resting there as well. What was truly amazing was how high on the rock some of the sea lions had climbed! Unlike harbor seals which are restricted to flopping around on their bellies, sea lions have retained usage of their front flippers like legs, allowing them to walk like quadrupeds on land, and thus to climb up higher on rocks than seals. The true symbol of the 17-mile Drive is the Monterey cypress, a rare evergreen tree that once faced extinction and is only truly endemic to this small portion of the California coast. 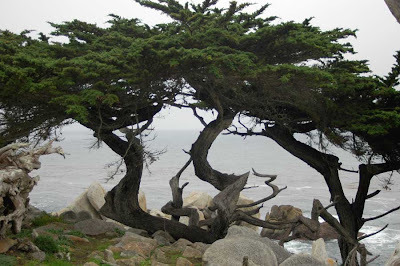 They are long-lived, slow growing trees, which are shaped by the strong coastal winds. Quite a species list today Monika. Do you think sea lions are evolving, to get the use of their legs. or are they evolving to lose the use! Warren, it's a good question. They are probably headed in the evolutionary direction of losing land mobility, but their current quadruped state may be maintained for some time, especially for sea lions like those in the southern hemisphere that still do some hunting on land (I'm thinking of a scene in the Planet Earth series where sea lions are running down penguins on a beach). 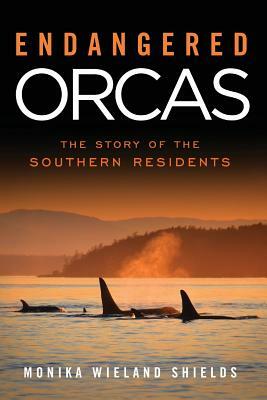 Cetaceans are obviously considered the most adapted to aquatic life as they no longer return to land at all. Using local species for an example, next comes species like harbor seals, who have very limited terrestrial mobility; then sea lions, who can still walk on land; and finally river otters, who still run around and burrow on land and have a pretty significant terrestrial component to their life. The evolutionary biologist in me really comes out when I start pondering these sorts of questions! It's so fun to think about. A beautiful capture from [close to] my home turf of the Bay Area. 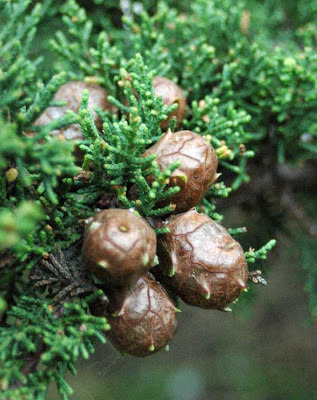 I had no idea about the trademark on the cypress! Great info. My husband and I are in the Northwest for a few years, and will be taking the Marine Naturalist training later this summer -- taking advantage of our current immersion with Northwest wildlife.